One of the “trademarks” of Singapore is the busy shipping traffic. There are hundreds and hundres of cargo ships, tankers, tow boats and ferries in the traffic separation lanes, crossing and at the anchorages. Navigation in this area requires a lot of attention, by day and eve more by night. This was not our first time in Singapore but to leave this amazing city was even more exciting than before. Last month Singapore was hit by the worst haze in history – due to the fires on the island of Sumatra and the dominating winds from the South-West, just across the strait. The newspaper was talking about “hazourdous” for your health so we tried to get out of it as fast as we can. 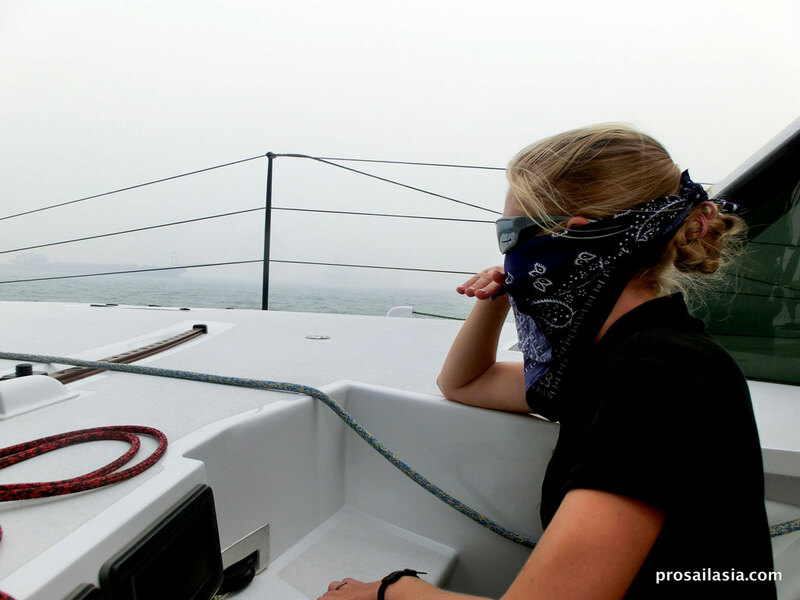 It was like sailing in the worst fog ever with almost no visibility and the air made breathing a bit more difficult due to the smoke. 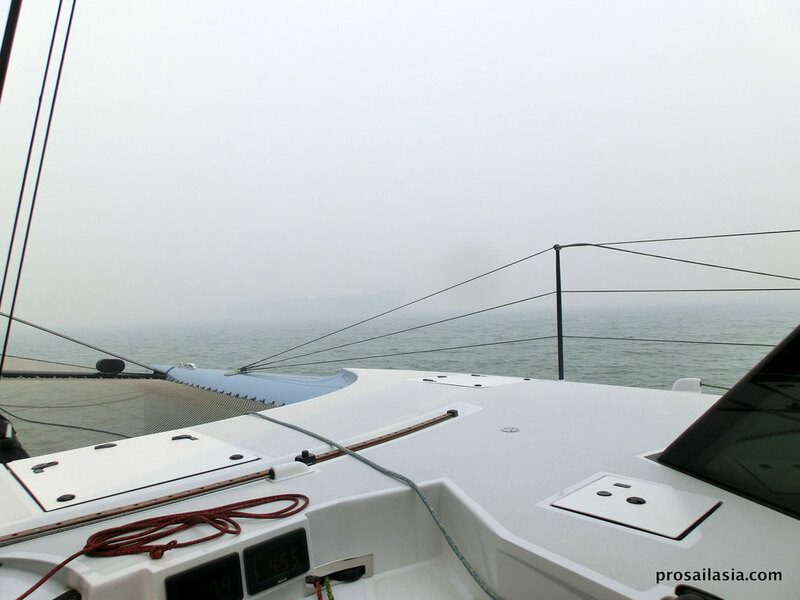 Moonwave is fully equipped for navigation in this conditions with her two radars, AIS, fog signals, etc. so we had a safe passage out of the shipping area. It took us a couple of days sailing north to have fresh clean air again. Like to read more? Our full report about the sailing voyage is right here.